My infant son was in the ICU only ten days after he was born. It was a harrowing time, but it was also a time when my family and I experienced the greatest outpouring of love and support imaginable. Friends from near and far organized a meal train, understanding just how challenging it was to get hot food on the table for dinner while we spent days and nights in the hospital. Treats, toys and care packages appeared on our doorstep daily, as if by magic, from neighbors letting us know that they, too, felt our pain. Teachers stepped up their game in ways we never anticipated, making sure our older son was well-cared for and supported at school, treating our child as if he were their own. The phone calls, emails, and text messages were endless, everyone letting us know we were in their thoughts and prayers, and they were right there with us on this roller coaster ride. It was empathy at its greatest, and to this day, I can’t think about it without crying. Though the times were traumatic, my husband and I couldn’t stop talking about how we felt so grateful. Merriam Webster defines empathy as “the feeling that you understand and share another person’s experiences and emotions: the ability to share someone else’s feelings.” To me, though, that definition sells it short, for it is so much more than that. Empathy provides a glowing flame to illuminate your way through the dark, a boat and oars to guide you through choppy, white-capped waters. It offers a smile when your heart has forgotten it once cradled joy, a door when you thought you had hit a dead end. Empathy, in short, can heal. This is not to say that it is the answer to all of the world’s problems, but it can certainly take us well on our way to creating a culture of not just compassion, but understanding as well. How do we nurture empathy in our children? If you have even glanced at any of my previous posts, you know my answer. One tried and true way is to read books to your kids—books that impart messages of compassion, not just for the weak or the suffering, but for anyone who needs a hand to grab on to at some singular moment in time; books that demonstrate how we can anticipate the needs of others and show us that even our small actions can bring comfort to our neighbors and friends. All fiction reading builds empathy simply because it introduces us to ideas and worlds beyond our own—and this is so significant for our children. Kids love to insert themselves into the pages of their favorite books to discern how they would respond in the very situations they read about. The more our little ones read, learn about others, and see themselves in stories conveying messages of empathy, the more this virtue will become an instinctual part of their behavior and character. Children’s literature is brimming with books that exemplify this value, and it is up to us—parents, educators and book enthusiasts—to get such stories into our kids’ hands. We don’t have to wait for someone to be struggling or hospitalized before compassionate acts become the norm. Empathy shouldn’t only arise in times of trauma. The little, often overlooked moments are significant too, and it is important that empathy be displayed during all of these times of need. As the great Roald Dahl once said, “If you have good thoughts, they will shine out of your face like sunbeams and you will always look lovely.” This, friends, is what we should aim for—good thoughts which will in turn spark compassionate behavior. If we can get our kids to strive for a humane and sensitive community, if we can teach them to turn their good thoughts into empathetic actions, we may one day be able to inhabit a sunnier, lovelier world. 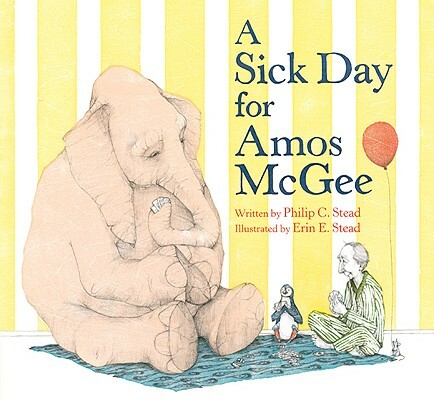 A Sick Day for Amos McGee tells the story of Amos, a zookeeper, who spends his days with his friends at the zoo. Amos takes great pleasure in being a trusted companion to the animals, delighting in providing each of them just what he knows they need. When Amos wakes up one morning to sick to get to the zoo, his friends decide it may just be time to return the favor. This book depicts empathy at its finest. It so beautifully portrays the beauty of friendship – understanding each others’ unique needs, caring for each other, and providing support in ways that only true friends can. There is no better story to help a child comprehend the value of identifying with another person’s feelings and being able to channel that recognition into generous, helpful behaviors. 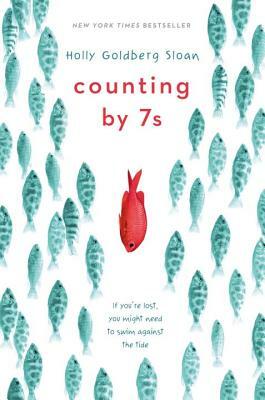 Twelve year old Willow Chance, living with her adoptive parents in California, is the kind of kid that can learn the Vietnamese language in a week, diagnose medical conditions with a casual glance, and grow a vibrant garden in her otherwise lifeless backyard. She is highly gifted, but also highly alone. When her parents are killed in a car accident, Willow must learn to come out of her comfort zone. She is taken in by the family of her only friend, and it is through them that she begins to forge meaningful relationships, find community and develop understanding. As their worlds collide, Willow, the Nguyen family and Dell Duke develop deep empathy for one another and the world beyond their own front doors. The team at All The Wonders is proud to spearhead the #BooksForBetter initiative, whose goal is to give families and teachers a resource to find great read aloud books that celebrate diversity, compassion and inclusiveness. We envision a movement that will grow well beyond our efforts, but we’re getting it started with a monthly Twitter chat and Instagram campaign. 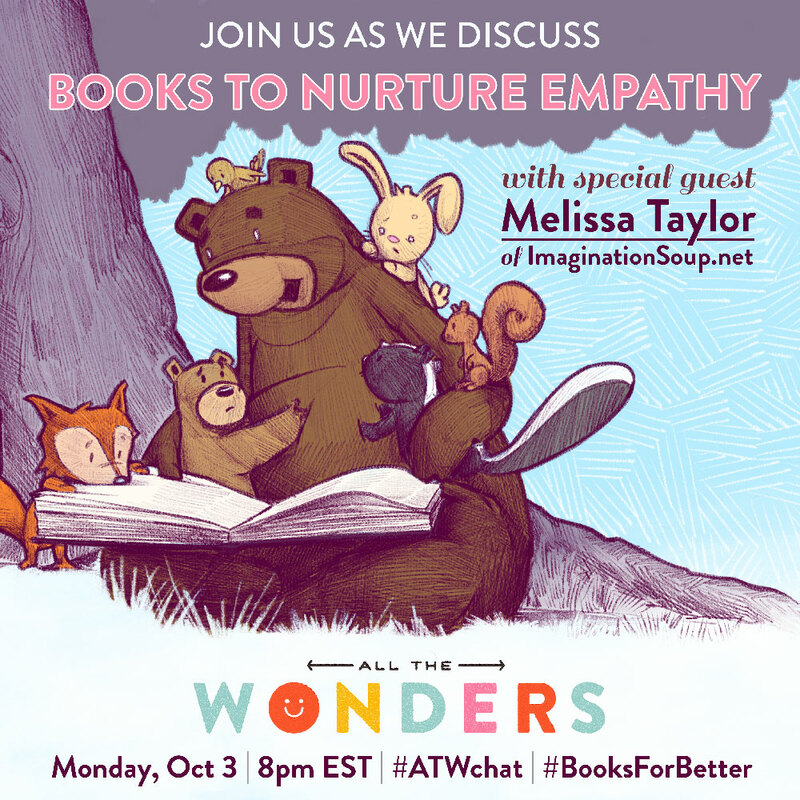 Join us the first Monday of each month at 8pm EST for an #ATWchat about children’s books that showcase the human potential for goodness. Then post your favorite books on this topic on social media under the hashtag #booksforbetter. We’ll be compiling and sharing your ideas each month, making it simple for every family to find #booksforbetter. We’re excited to be joined this month by special guest Melissa Taylor of the fabulous Imagination Soup blog. Melissa’s also the author of Book Love: Help Your Child Grow from Reluctant to Enthusiastic Reader and can be found all over the internet championing readers alongside outstanding children’s books. We’re also excited to share the beautiful READ poster that Mike Ciccotello, our guest illustrator, created alongside the images for this month’s chat. Download the poster and put it in your library, your classroom, or wherever you find readers reading.